In an era where consumers can rage and criticize the brands that don’t please them, with just a click of a button, it has become extremely crucial for the business to define and establish a brand carefully. Among all the industries, one that has been deeply affected with the digital explosion is the travel and tourism industry. Gone are the days where people used to travel around maps, guidebooks, compasses or printed stuffs. Today consumers want to be served at all times rather than the office hours of tourism providers. So what is that determines the customer’s path to conversion in Traveling Industry? Today, the increasing use of mobile technology has completely changed the way people plan, research and book their travel arrangements. According to Juniper Research, more than 31 billion apps downloaded to mobile devices in 2011 and are predicted to gain more than 66 billion in 2016. 40% of smartphone users use mobile to find destination information. Hence, those travel companies that wish to communicate effectively with their customers, sell more tours or excursions or increase brand awareness, should definitely need to go mobile. Why Mobile Apps are the best solution for travel agencies to acquire customers? Mobile apps are proven out to be a great way to engage the customers after purchase. It provides best ways to organize travel plans and get all the required trip information at the fingertips. By incorporating such mobile apps, travel agencies can increase the number of their customers by retaining old clients and acquiring new ones. These days nobody wants to go through a complicated booking process. Making it quick and easy surely attract them towards your business. A mobile app helps your client save passport information, travel preferences and payment details through secured network. Client may face problems sometimes while traveling. This might be, for instance, unable to find a place in a hotel upon arrival or cab service. A mobile app accommodates the traveler with local information about the country including geographical location, culture, climate and places of interest. 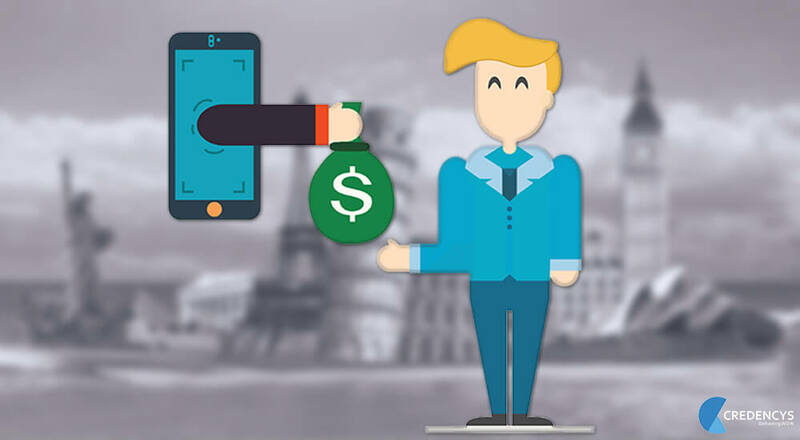 Mobile app also provides clients the possibility to pay for a wide range of goods and services instead of paying with cash, checks or credit cards. With mobile apps you can constantly be in touch with the clients and inform them about any changes concerning arrival or departure, flight status and delays. This result in improved customer service and also enhance the sales opportunities. Expedia is among the most popular groups of online travel brands, offering free iPhone and iPad apps that let their clients book a flight to anywhere in the world, provide notifications for flight delays, gate changes, default to the current location for fast, on-the-go booking and much more. Travelocity has positioned its app as the hub for all the parts of consumer’s trip. Apart from hotel, car and flight booking, the app also users find nearby attractions. With a Travelocity account, users can easily store and manage their travel plans. Additionally, when it comes to booking and deals, prices are prominently promoted with the lowest price at the top. For travel business, it becomes hard sometimes to streamline businesses processes and acquire new clients. Having a mobile app not only help to increase the reach but also increase the revenue and encourage recommendations and repeat bookings.